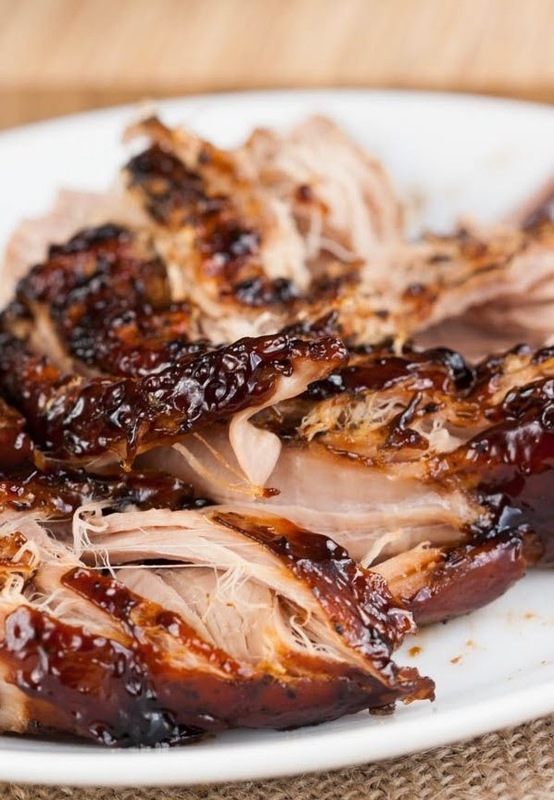 Crockpot Brown Sugar Balsamic Glazed Pork Tenderloin | FoodGaZm..
Made it yesterday and really had to improvise. We live quite far from a grocery store and it wasn’t until I’d already put the roast in the crockpot that I realized we had run out of two KEY ingredients: balsamic vinegar and corn starch (gasp!). But I was committed to trying with what we had on hand. I used red wine vinegar and flour instead, and added about 1/2 cup additional brown sugar to thicken the glaze. To make matters more challenging, our boiler went kaput … I was tempted to take a blow torch to the roast, but figured it wasn’t worth risking setting my house on fire! Although we didn’t get the crusty glaze I was hoping for, it turned out absolutely delicious. My family devoured the meal. The sage and the sweetness of the brown sugar balanced each other beautifully. I look forward to making it again as per instructed, but want to assure others out there that this one is a real winner … improvised ingredients, broken kitchen appliances and all!